Note:The pictures are of the actual products. But due to the different light and monitor setting. Minor color difference maybe existed. Please understand and thank you very much. 100% Brand New. Material---Constructed of durable metal and high quality plastic, stable, eco-friendly and odorless, safety strap equipped for further protection. 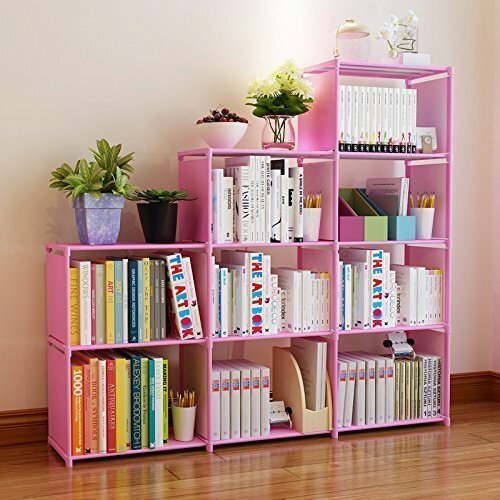 Perfect Storage--- Keep your shoes, clothes, stuffed animals, books or crafts organized; nice for closet room, kid's room, study room, entryway as well as office. Enjoy DIY---Modular shape with simple structure allows you to create storage closet in a variety of shapes to fit in your personal taste, as interesting as building a mini-house. If you have any questions about this product by Keland, contact us by completing and submitting the form below. If you are looking for a specif part number, please include it with your message.